Some items we use everyday contain potentially harmful ingredients and if not disposed of properly can have public health and environmental impacts. Peña’s Disposal accepts recycle only household hazardous waste, at its Cutler facility, making it easier for you to comply with state law and regulations for proper disposal of hazardous waste. For location and hours, go Find Us. Please dispose of these items properly to help protect the health and safety of our communities! Click here for more information on Household Hazardous Waste Disposal in Tulare County. 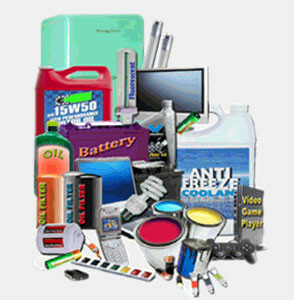 Click here for more information on Household Hazardous Waste Disposal in Fresno County.